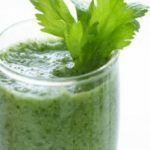 There are many reasons why green smoothies can contribute to better overall health to your body. 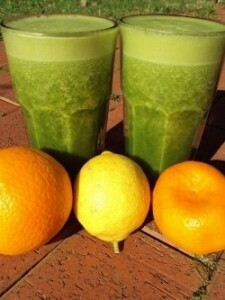 For example, green smoothies are rich in vitamins and nutrients, and they are low in calories. 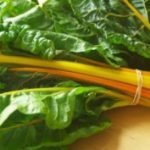 Green smoothies also contain numerous amino acids, powerful antioxidants, and live enzymes that are beneficial to the human body. 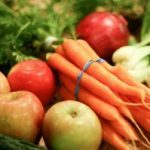 They also provide an ideal source of nutrition for those who otherwise cannot stand the taste of most fruits and vegetables. 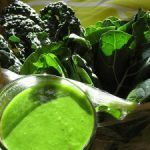 Because the ingredients of these smoothies are blended, they are easy to digest, which is particularly beneficial for the elderly and the very young. 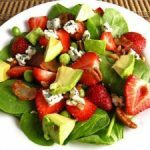 The human body requires 3-4 servings of fruits and vegetables each day to function properly. Sadly, many individuals’ diets are lacking in this area. 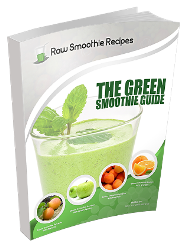 This is where delicious and nutritious green smoothies can step in to be of assistance. 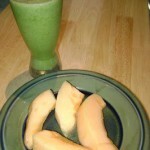 Try including green smoothies in your daily diet to see what they have to offer for you.